PLEASE NOTE: Like all window films, their one-way properties are ineffective at night, if you have your room lights on. As most home owners have their curtains closed at night, this isn’t an issue, but we feel it’s important to make you aware of this. Please enter what type of material your window frames are constructed from. Please select the type of glass in your windows. Please enter the approximate age of your conservatory in years. If less than one year old, please put 1. Please enter any information you feel would be helpful to us. Do you require an installation to your conservatory ROOF? If No, please fill in your sidewall measurements below. 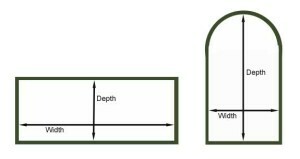 Using the diagram below as a guide, what shape is your conservatory? What shape are the panels in your conservatory roof? In the fields below, please enter the sizes (WIDTH & HEIGHT) in mm, of each separate pane in Side wall 1, then the panes in Side wall 2 etc. NOTE: It is important that the glass pane dimensions are added individually and NOT just the Side wall size. Pane sizes for additional Side walls can be added later. Please enter the size (WIDTH & HEIGHT) of each separate pane of glass in Side wall 1 of your conservatory.. If you want to add the pane sizes for another Side wall please select Yes. If not, click on the Submit Measurements button. Please enter the size (WIDTH & HEIGHT) of each separate pane of glass in Side wall 2. Please enter the size (WIDTH & HEIGHT) of each separate pane of glass in Side wall 3. 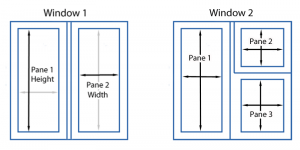 Please enter the size (WIDTH & HEIGHT) of each separate pane of glass in Side wall 4. Please enter the size (WIDTH & HEIGHT) of each separate pane of glass in Side wall 5. Please enter the size (WIDTH & HEIGHT) of each separate pane of glass in Side wall 6. Alternativetoconservatoryblinds.co.uk is part of the Smashgard Group who have been installing conservatory window film since 2006. 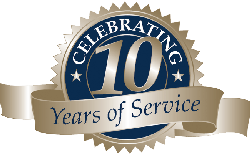 Using the highest quality film available in the world, exceptional installation techniques and celebrating over 13 years in business, we are proud to offer you our amazing conservatory solar window films. Smashgard – Window film installers covering the majority of the UK, Leicestershire, Northamptonshire, Warwickshire, Oxfordshire, Bedfordshire, Leicestershire, Derbyshire, Nottinghamshire and Worcestershire, installing our solar window film. The alternative to conservatory blinds.